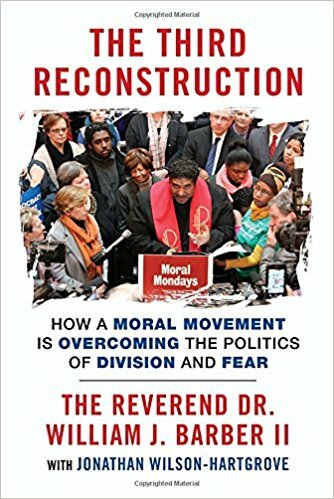 2016-17: William Barber, The Third Reconstruction: How a Moral Movement Is Overcoming the Politics of Division and Fear. CLICK HERE. The first Reconstruction briefly flourished after Emancipation, and the second Reconstruction ushered in meaningful progress in the civil rights era. But both were met by ferocious reactionary measures that severely curtailed, and in many cases rolled back, racial and economic progress. This Third Reconstruction is a profoundly moral awakening of justice-loving people united in a fusion coalition powerful enough to reclaim the possibility of democracy-even in the face of corporate-financed extremism. In this memoir of how Rev. Barber and allies as diverse as progressive Christians, union members, and immigration-rights activists came together to build a coalition, he offers a trenchant analysis of race-based inequality and a hopeful message for a nation grappling with persistent racial and economic injustice. Rev. Barber writes movingly-and pragmatically-about how he laid the groundwork for a state-by-state movement that unites black, white, and brown, rich and poor, employed and unemployed, gay and straight, documented and undocumented, religious and secular. Only such a diverse fusion movement, Rev. Barber argues, can heal our nation's wounds and produce public policy that is morally defensible, constitutionally consistent, and economically sane. The Third Reconstruction is both a blueprint for movement building and an inspiring call to action from the twenty-first century's most effective grassroots organizer. 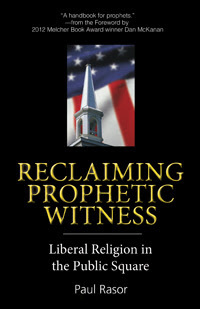 Drawing on the prophetic traditions of the Jewish and Christian scriptures, while making room for other sources of truth, the book challenges us to ground our justice work in moral dissent, even when there is no reasonable expectation of political success, and to do the hard work of coalition building in a society that is fractured and polarized. 2015-16: Bryan Stephenson, Just Mercy. CLICK HERE. 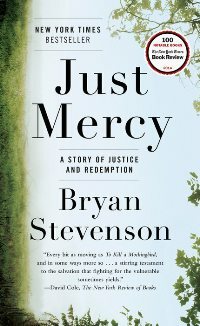 A powerful true story about the potential for mercy to redeem us, and a clarion call to fix our broken system of justice -- from one of the most brilliant and influential lawyers of our time. Rev. Meredith Garmon's sermon, "Just Mercy": CLICK HERE. 2014-15: Paul Rasor, Reclaiming Prophetic Witness. CLICK HERE. In Reclaiming Prophetic Witness, Rasor argues that conservative Christianity is not the only valid religious voice in our national social policy. His book invites Unitarian Universalists to explore and claim our c ontribution, as religious liberals, to the pressing moral and ethical debates of our contemporary world. This year's selection is an elegantly written, 105-page gem. Rasor observes that many liberals are uncomfortable with talking about our faith as the well from which spring our social justice commitments. The book includes insights from our theological heritage and our history that have bearing for us today, and calls us to prophetic, faith-based justice work. Rev. Meredith Garmon's sermon, "Reclaiming Prophetic Witness": CLICK HERE. 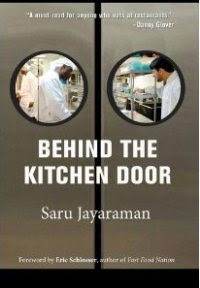 2013-14: Saru Jayaraman, Behind the Kitchen Door. CLICK HERE. Rev. Meredith Garmon's sermon, "Behind the Kitchen Door": CLICK HERE. 2012-13: Michelle Alexander, The New Jim Crow CLICK HERE. Once in a great while a book comes along that changes the way we see the world and helps to fuel a nationwide social movement. 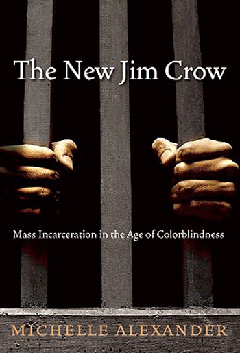 The New Jim Crow is such a book. Praised by Harvard Law professor Lani Guinier as "brave and bold," this book directly challenges the notion that the election of Barack Obama signals a new era of colorblindness. With dazzling candor, legal scholar Michelle Alexander argues that "we have not ended racial caste in America; we have merely redesigned it." By targeting black men through the War on Drugs and decimating communities of color, the U.S. criminal justice system functions as a contemporary system of racial control — relegating millions to a permanent second-class status — even as it formally adheres to the principle of colorblindness. In the words of Benjamin Todd Jealous, president and CEO of the NAACP, this book is a "call to action." 2011-12: Eboo Patel, Acts of Faith. CLICK HERE. Acts of Faith is a remarkable account of growing up Muslim in America and coming to believe in religious pluralism, from one of the most prominent faith leaders in the United States. 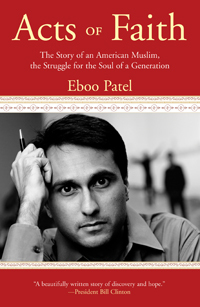 Eboo Patel’s story is a hopeful and moving testament to the power and passion of young people — and of the world-changing potential of an interfaith youth movement. Patel, a former Rhodes scholar with a doctorate in the sociology of religion from Oxford, is the founder of the Interfaith Youth Core, an organization that unites young people of different religions to perform community service and explore their common values. Patel argues that such work is essential, manifesting the faith line that will define the 21st century. Patel's own story is more powerful than the exhaustive examples he provides of how mainstream faith failed to reach young people like Osama bin Laden and Yighal Amir, the assassin of Yitzhak Rabin. With honesty, Patel relates how he suffered the racist taunts of fellow youth, and, in response, alternately rebelled against and absorbed the religion of his parents — Islam — but in his own way. Meanwhile, he continued to pursue interfaith work with vigor, not quite knowing his end goal but always feeling in his gut that interfaith understanding was the key. This autobiography of a young activist captures how an angry youth can be transformed—by faith, by the community and, most of all, by himself — into a profound leader for the cause of peace. 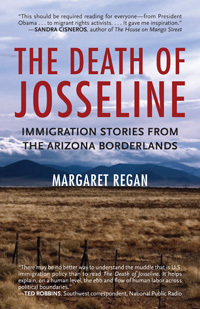 2010-11: Margaret Regan, The Death of Josseline. CLICK HERE.